Popularly known for simple-to-setup content management system (CMS), WordPress has gained diversified businesses all across the globe. Initially, this CMS was launched with the aim of deploying blogging websites. But, with the growing time, many businesses found it imperative to deploy varied kinds of websites, especially ecommerce. With the advent of WordPress in the ecommerce scenario, almost every year new plugin is being launched to improve the online experience. As a result, it becomes vital to choose the plugin wisely for your business as a better platform offers more opportunities for growth. What points to consider while choosing WordPress eCommerce Plugin for Your Site? In today’s time, there are wide range of WordPress ecommerce plugins available in the market. But, it is not compulsory that all the plugins have vital set of features that you might require for starting your ecommerce site. There are some ecommerce plugins that are good enough for selling digital goods such as music, photos, and many others while others are best suited for selling physical goods that require shipping and inventory management. Select the plugin depending on the products and services you are planning to sell as well as the features you need to effectively run your business. Take the payment getaways into consideration that you will use for accepting the payments. Ensure to select those plugins that support those payment gateways by default or through addons. It is not possible for ecommerce plugin to have all the features and functionalities. Thus, the best way is to have addon plugins as it extends the functionality of the ecommerce plugin. Check what kind of support options are available for the plugin. Even if you hire a developer to work on the site, you may need help from time to time. Ensure to choose such plugin that has support system from where you can get assistance. In this article, we will discuss some of the best WordPress plugins for ecommerce that can be utilized to enhance the website and create a hassle-free online shopping experience for the customers. WooCommerce from WooThemes is one of the most popular WordPress plugins that promises to offer robust ecommerce facilities along with elegance. It comes with an array of features including a dashboard widget that makes it easier to check the progress of the online businesses. Being fully customizable, it comes with distinct payment options such as cash on delivery, Paypal, Cheque and many more. Apart from this, you can make addition of multifarious extensions to the plugin. Designed as per the WordPress best practices. 100% compatible with WordPress themes. WP ecommerce is one of the first ecommerce plugins that is created. With over 2.5 millions downloads, this plugin has managed to be on the top position from the past 5 years. 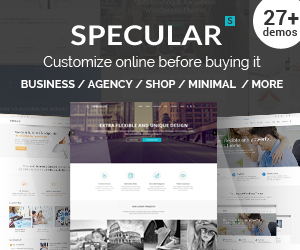 This fully featured WordPress theme comes equipped with flexible coupon codes, cross-page promotion, free shipping options and many more. Featured with shortcode and template tags. Can be customized fully using custom HTML and CSS. Drag and drop feature for better customer experience. Can be easily set up and used. Wide range of payment gateways. Shopp is among the top ecommerce centric plugins for WordPress. Fully compatible to be integrated with around 50 payment services, this plugin allows the businesses to choose apt one for their online store. With the aim to protect the store against any kind of breaching and hacking, this plugin has been programmed using the latest technology to be highly safe and secure. 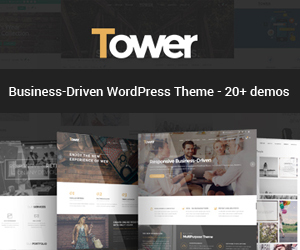 100% compatible with WordPress themes and plugins. Can be easily installed and used. MarketPress is the best plugin when it comes to a well-designed and easy-to-customize platform. This plugin comes with distinct features and functionalities that streamline the way for the end-users to deploy the online store and sell an array of items. In addition to this, it also allows the users to build attractive pages for providing an awesome experience. 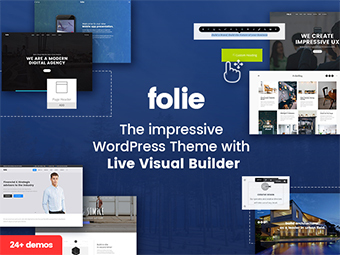 Fully compatible with all WordPress themes. Equipped with these plugins, you can easily take over the world of online business and build a brand image for yourself. Hope, this list of WordPress plugins turns out to be beneficial in setting up the online store. Feel free to share your views and ideas in the comment box below. Author Bio: Steven Bowen is a columnist and professional blogger associated with No-refresh :Online T-Shirt Design Tool Provider, who likes sharing informative post with high-quality content to enhance the visitors’ knowledge. 7 Useful WooCommerce Tips you SHOULD know!